Kenyan man, Kirui Luke posted before and after photos of himself with wife to celebrate Valentine's Day. 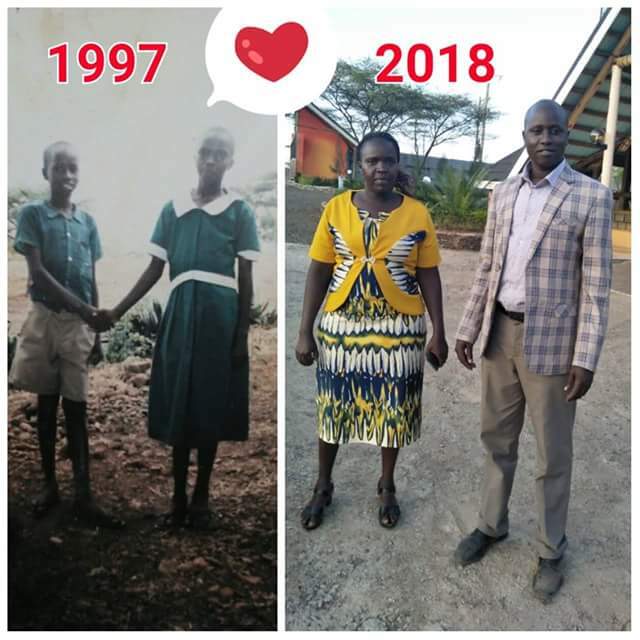 They met back in 1997 at Kimoigut Primary School in Baringo County as classmates in Standard 5. 0 Response to "Valentine Couple of the year? Check out before and after photos of childhood friends who became husband and wife"